Grey Star Duvet Cover Set - Single | Great Little Trading Co.
Set includes: standard single duvet cover and pillowcase. A simple, calm design that looks amazing in children's bedrooms. One side has grey stars, the other has white; it's ideal for sharing siblings or a coordinated look. Team it up with the matching Quilted Bedspread and Cushion. 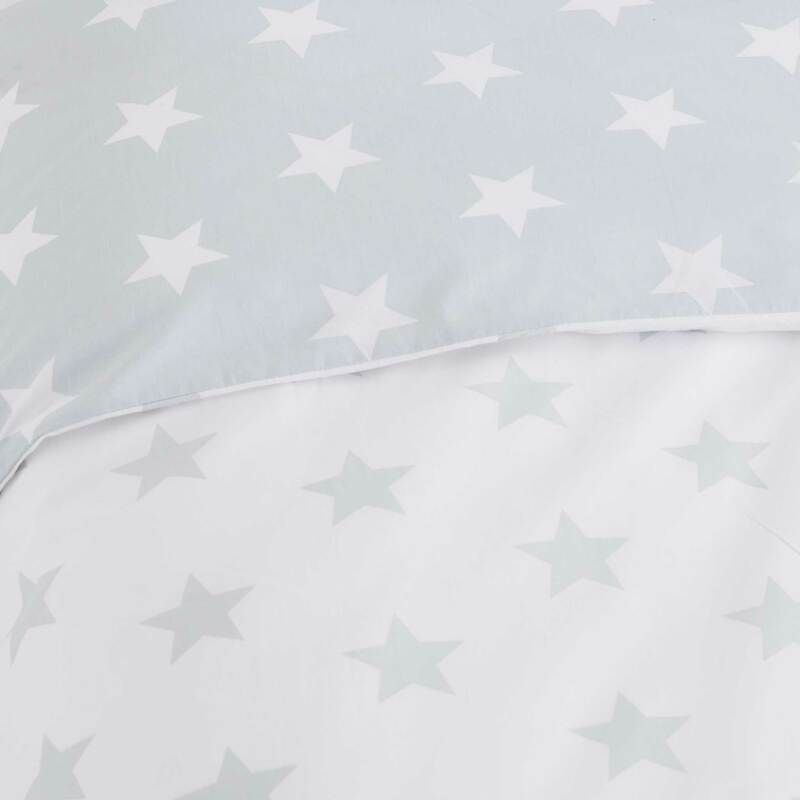 All our children's duvet cover sets include a pillow case and duvet cover made from 100% cotton percale; the Grey Star has a printed design on both sides of the pillow case and the duvet. It also comes in a Toddler size. 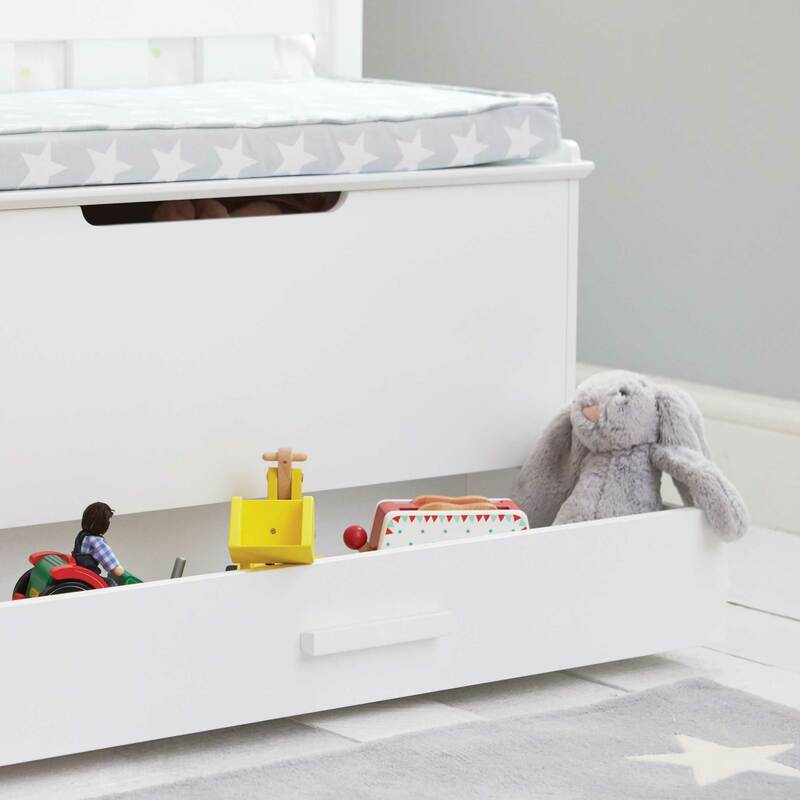 Team up this lovely kids' bedding with coordinating Blackout Curtains and our Grey Star Canvas Storage.